Jane is our Office Manager and also one of the original founders of Austen Lloyd. Prior to this Jane successfully ran her own business. 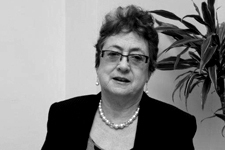 Jane now has many years experience in the legal sector. Jane's role involves the smooth running of the office and problem solving. Jane is an experienced and successful business woman who is an excellent first point of contact.